Dawson's fire protection district is based out of the village hall facility. All of Dawson's firefighters are brave volunteers from the area. For more information on how you can get involved, please contact the village office at 217-364-5975. The village owns and operates its own water facility, which supplies water to homes both within and near the village. The village owns an automatic water salesman, located outside the village hall facility. The machine charges $4.50 per 1,000 gallons. For any questions about the village's water service, please contact the village hall at 217-364-5975. 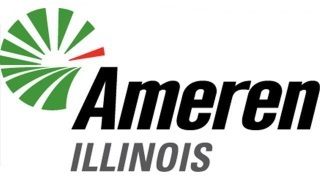 Ameren Illinois is a part of your community, one of the more than 1,200 communities we serve. Our goal is to deliver safe, reliable, affordable energy to your home. Many energy efficiency programs with tips, tools and incentives are offered to you, providing ways to reduce your electricity and natural gas use and help protect our environment. Ameren Illinois can also help assist people in need. We do this, in part, through innovative programs and initiatives. After all, Ameren Illinois employees are a part of your community too. Electric choice is available now. Learn about choosing an electric supplier or joining your neighbors to aggregate. Even as DISH consistently introduces products of increasing sophistication, it also leads the industry by offering the best value – the same channels at a better price. Challenging the economics of pay-TV, Ergen has charged competitors with passing the burden of wasteful spending to subscribers, and he maintains the mantra that DISH will always offer customers the lowest everyday pricing nationwide. Offers the highest quality programming and technology with the most choices at the best value. Provides the most international channels, and award-winning HD and DVR technology. Revenues realized a 1.6% increase in 2014, surpassing $14.6 billion. Employs approximately 19,000 people in the U.S.
Whatever you love to watch on TV in primetime, daytime, or game time, you'll find it on DIRECTV. We have over 285 of your favorite channels—more than 195 in full-time HD.1 But that's just part of the story. With DIRECTV, you get the TV you love, live or On Demand, on any screen, and the technology to experience it like never before. Exede Satellite Internet dish mounted to houseIn October, 2011, we launched ViaSat-1, the most powerful communications satellite in the world. This is the technology that powers the Exede Internet service that comes directly to your home. T6 is a proud member of the JAB Broadband Family of companies. We provide Broadband Internet and telephone services to residential, business, enterprise, and public sector customers throughout Illinois and Wisconsin.